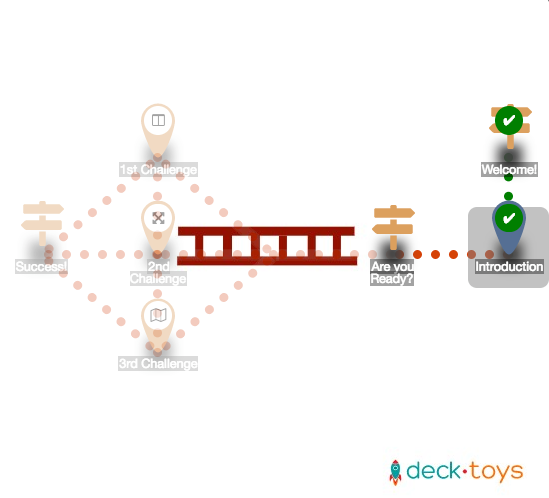 One of the prominent feature of Deck.Toys is the availability for teachers to create a different adventure experience to their teachers in one single resource. This is possible by the usage of Paths in your resource. The red dotted line represents a Path. Create horizontal, vertical or diagonal paths by clicking on the desired location. 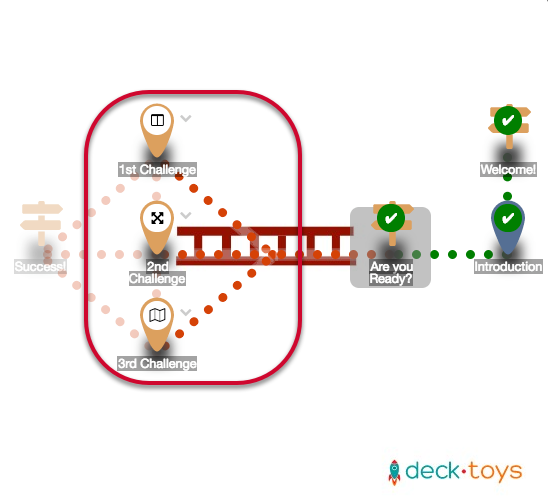 Path helps to connect all the Activities in your deck. 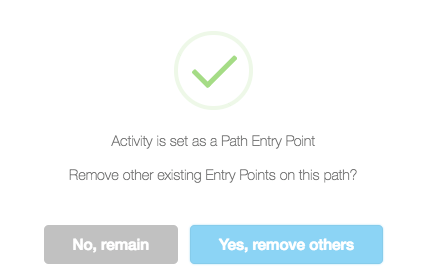 Set the entry point for your path once all the Activities are connected. This selected Activity will be the start point for your students. There must be at least one entry point in your deck. To have multiple path entry points in your deck, select ' No, remain'. This selection will help you to keep the previously selected path entry point. 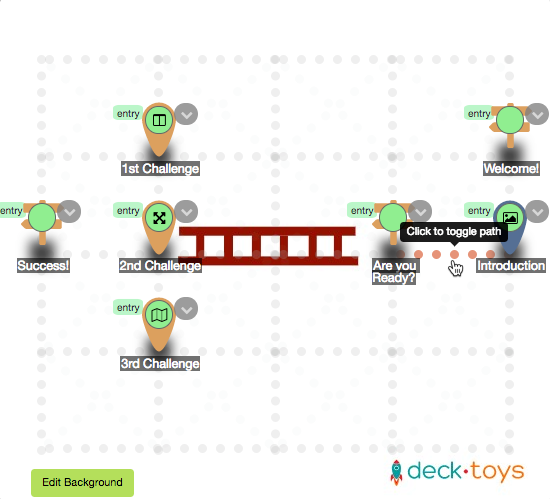 After your student completes an Activity, a tick sign on a green background will be shown. This will then activate the neighboring Activities which enables the student to progress through the path. 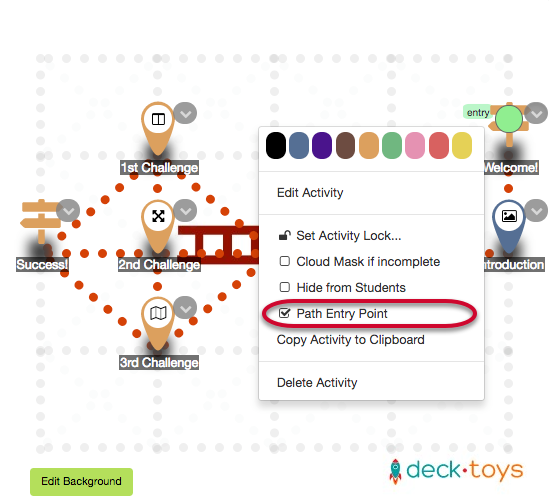 Adding divergent paths gives your students the choice to choose the different challenges to be completed in the self-exploration mode. With various challenges ahead to be explored, this will enhance a student's learning experience as a student is introduced to different methods to master a topic.